Friday 14th April 2017 was a great day for the people of Portsmouth. 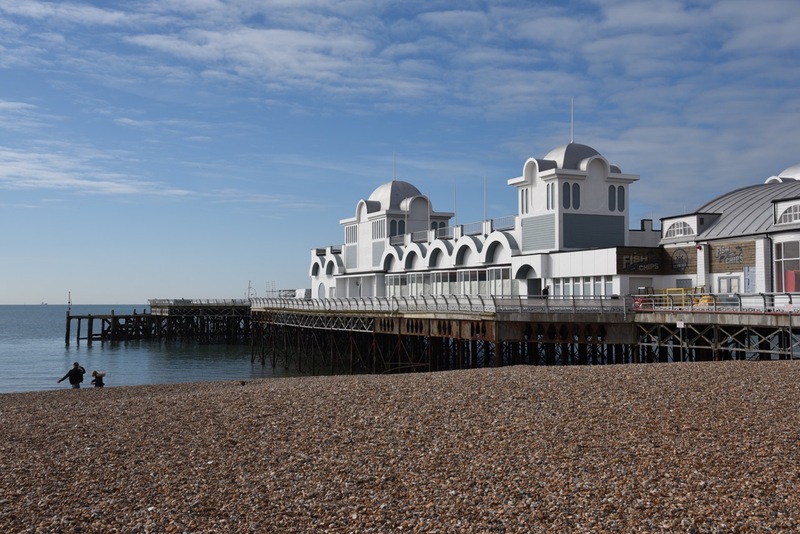 It’s been five long years since South Parade Pier, a Grade II listed Victorian Pier, closed its doors and many of us feared that it would never reopen. 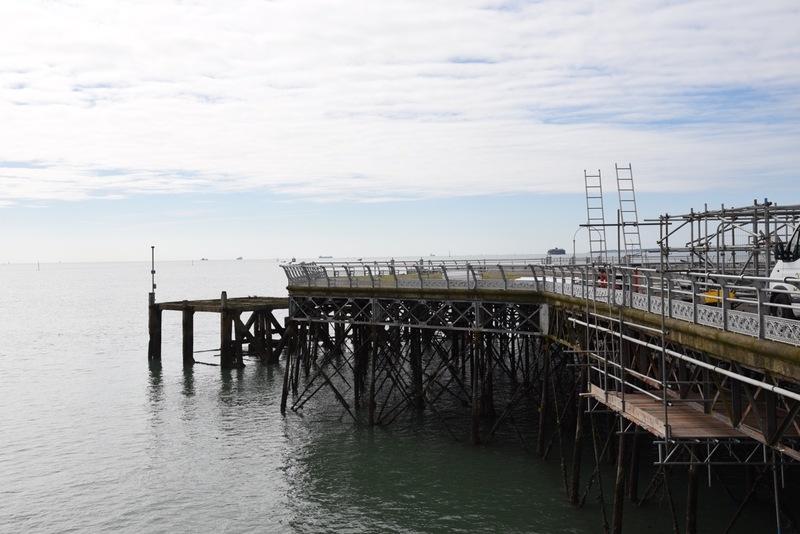 It’s taken investment from a private consortium of local businessmen to repair and re-open this pier – a feat symbolically performed by Portsmouth’s own Lord and Lady Mayoress – and I have to say, it does bring a tear to the eye of a proud Portsmuthian and pier admirer. 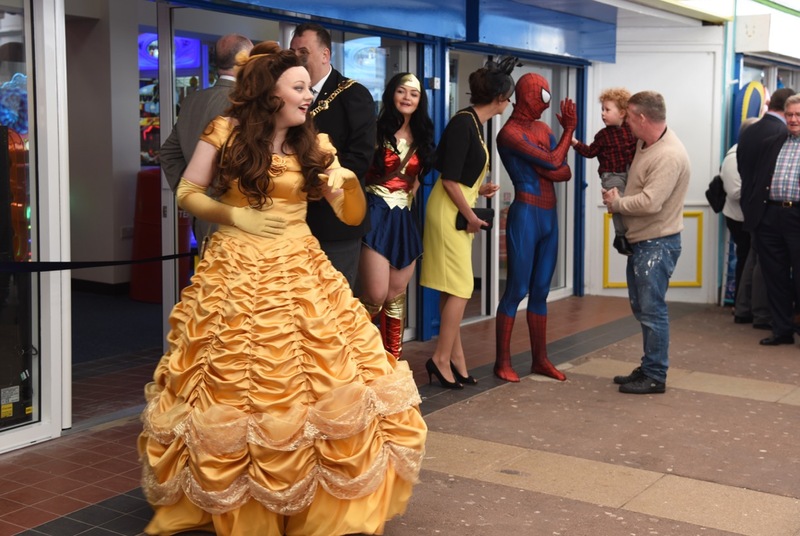 To make the occasion even more special, Wonder Woman, Spiderman and Belle also chose to come along to join the fun – his spidey-senses no doubt alerting him to this historic event. 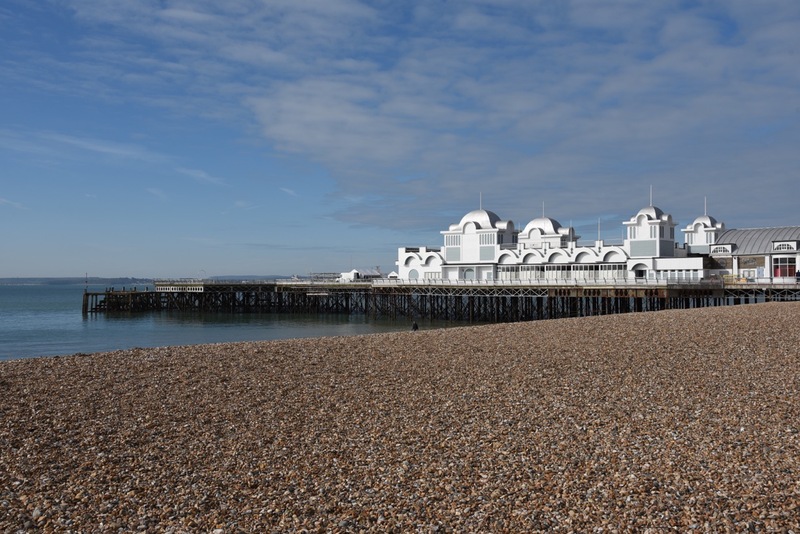 In a traditional Victorian seafront city, a pier is a community meeting point and an enormous tourist attraction. It’s reopening last weekend with music, entertainment and food stalls seemed to be pulling in the crowds in encouraging numbers when I left late morning. Long may it continue because a pier needs the community and tourism pounds to keep it going. It also appears at present to be enjoying local political good will which I hope will also continue. 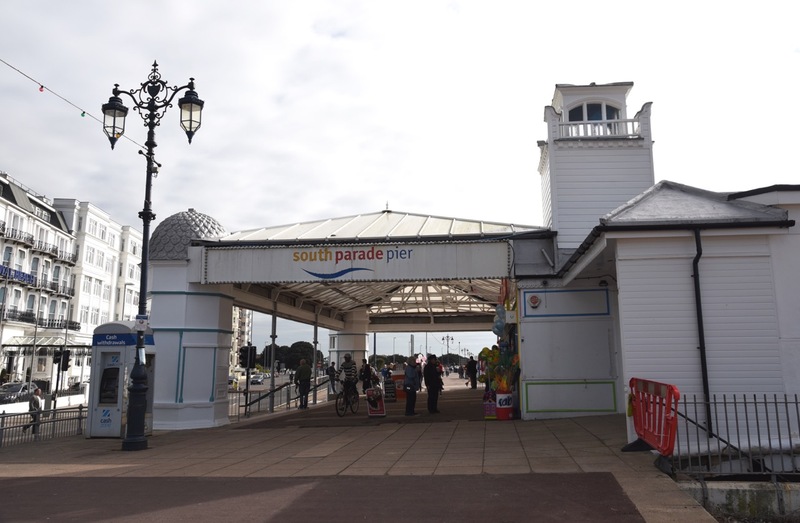 Southsea actually boasts two piers – there’s Clarence Pier, also enjoying something of a renaissance, at the other end of the seafront but whilst South Parade Pier heads out seaward, Clarence Pier is more land orientated. 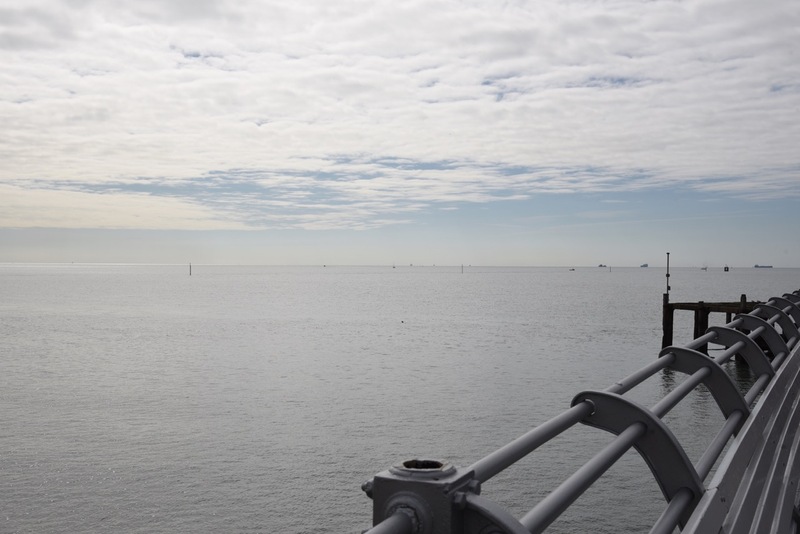 It was built between 1875 and 1878 to a design by G Rale and was opened in 1879 by Princess Saxe-Weimar, originally as a steamer jetty for Isle of Wight passengers. 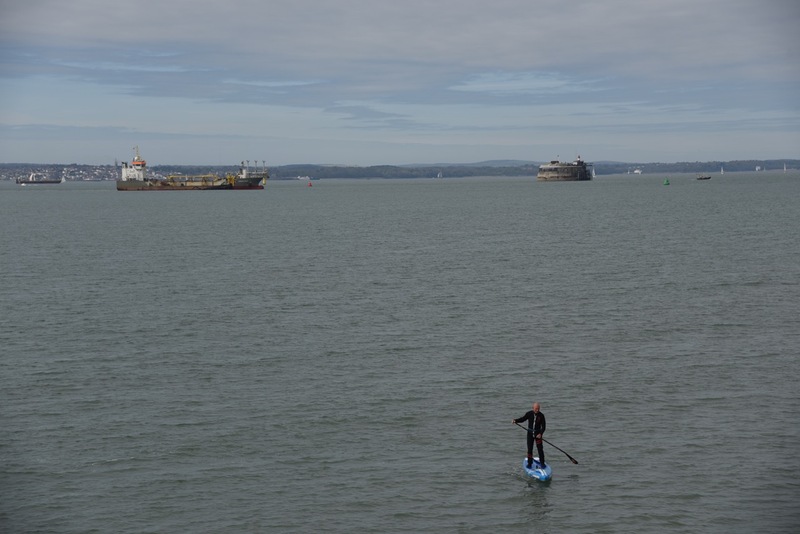 I hear boat tours around the Isle of Wight will somewhat appropriately begin again soon from the pier over the coming months – a touch of the back to the future scenario. So what actually is open. 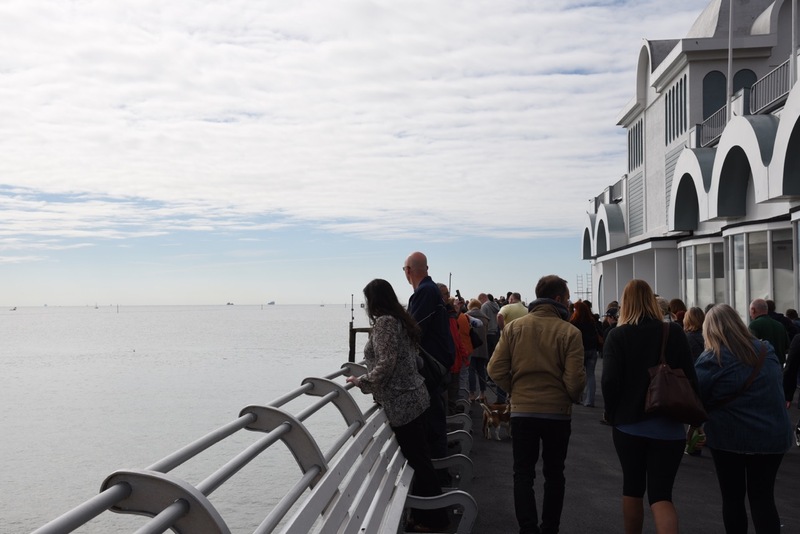 Well visitors can meander along the walkways up until the Albert Tavern Bar enjoying the views of the Solent, Isle of Wight and the Solent Forts. 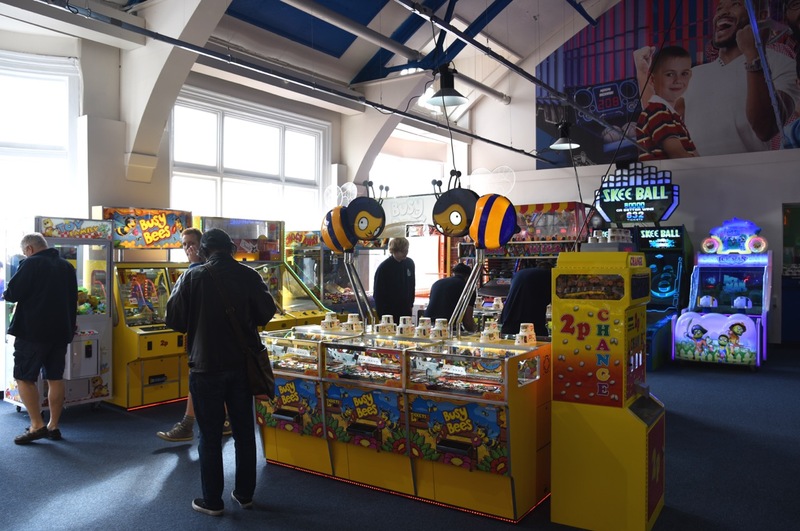 The Family Entertainment Centre or amusement arcade, is now up and running – very colourful and very enticing no doubt to both rug rats and parents alike. 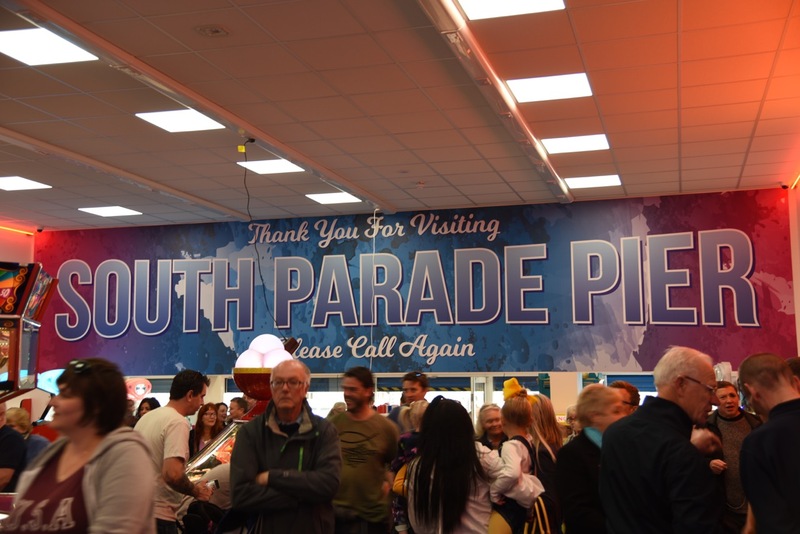 There’s also an Ice Cream Parlour (very retro, very colourful) at the pier’s entrance along with a traditional seaside souvenir shop. Over the next few months, Deep Blue Restaurants will be opening a takeaway on the side of the pier (hopefully May) and a full service 275-seat restaurant (hopefully August) in what was formerly the Albert Tavern Bar. 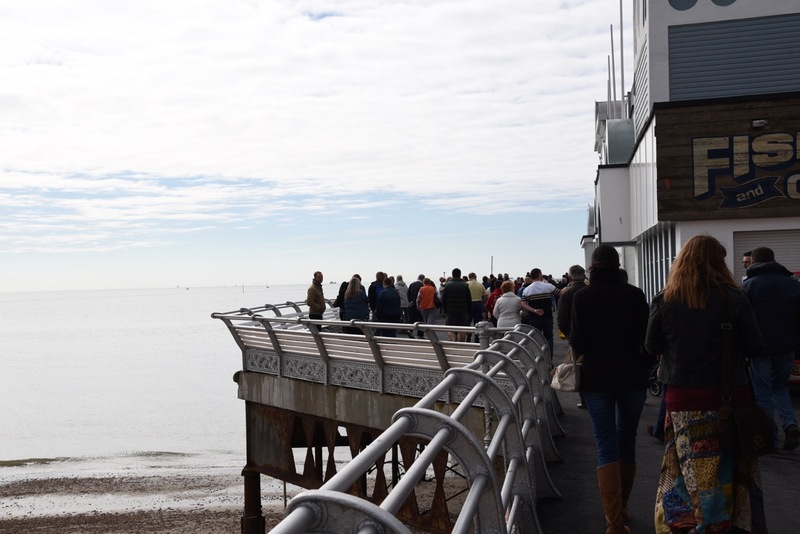 The Pier Side Cafe plans to open in the summer offering both traditional seaside favourites and more contemporary street food. The High Tide Kitchen Company will be operating on the pier’s west side offering fresh, affordable food from their family run kitchen. There will also be a gourmet sandwich station so the grapevine tells me. 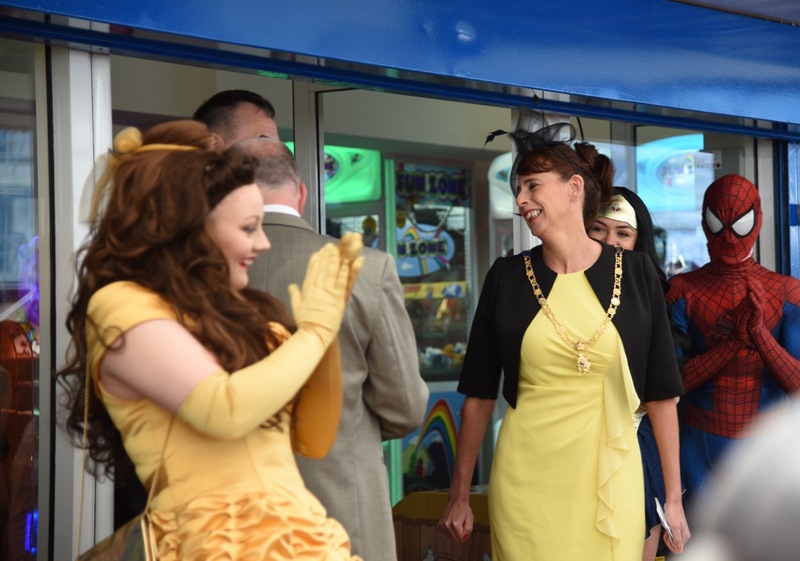 Future openings will include the Gaiety Showbar function room available for functions, live music and seaside entertainment throughout the year. 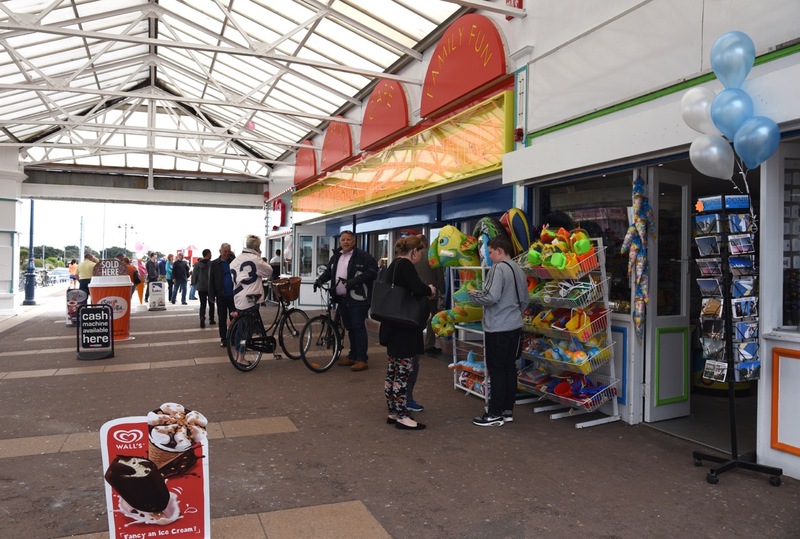 There’s talk of a Zip wire, children’s entertainment and rides, the return of fishing to the pier plus traditional deck chair seating. 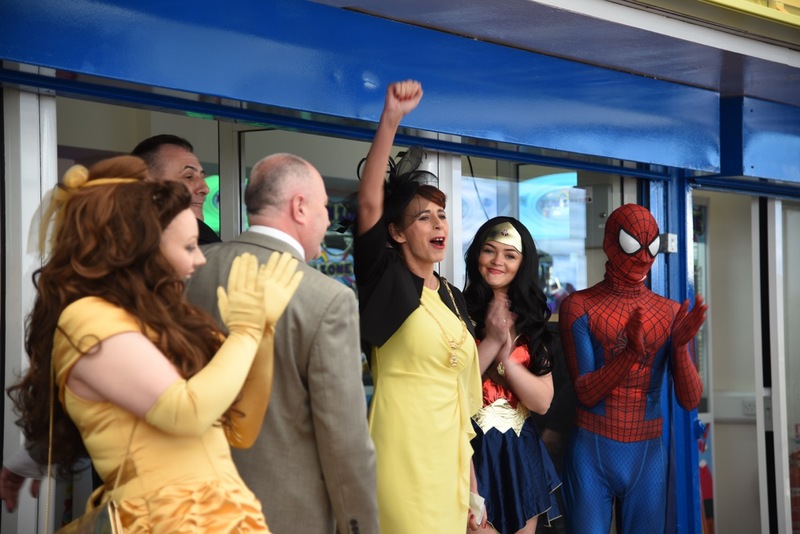 Tommy Ware, one of the owners of the Pier, said “Following an investment of over 5 million pounds we are thrilled to announce the re-opening of the Pier and its great that we have been able to provide trading space for both local businesses and national companies who will be bringing much needed employment opportunities to people in the Portsmouth area”. 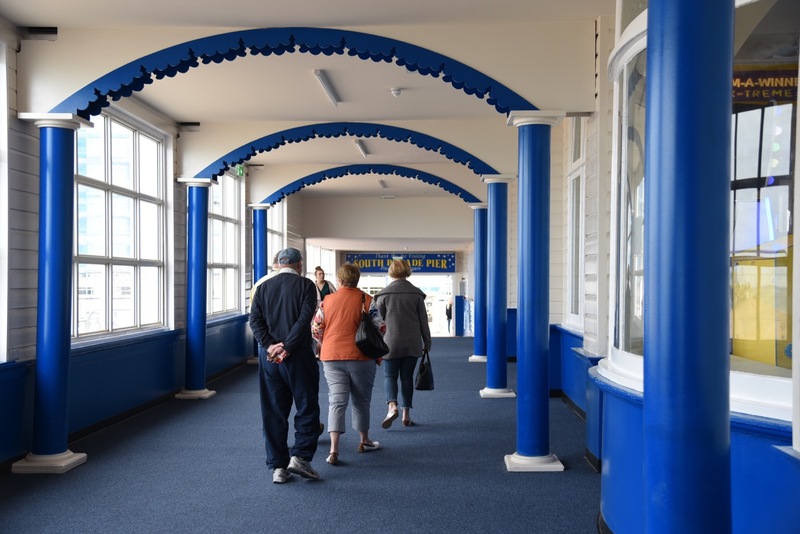 So thank you so much to Mr Ware and his fellow consortium owners of South Parade Pier Ltd for investing and saving a crumbling relic of the past and giving us back a vital tourist attraction to the City of Portsmouth. 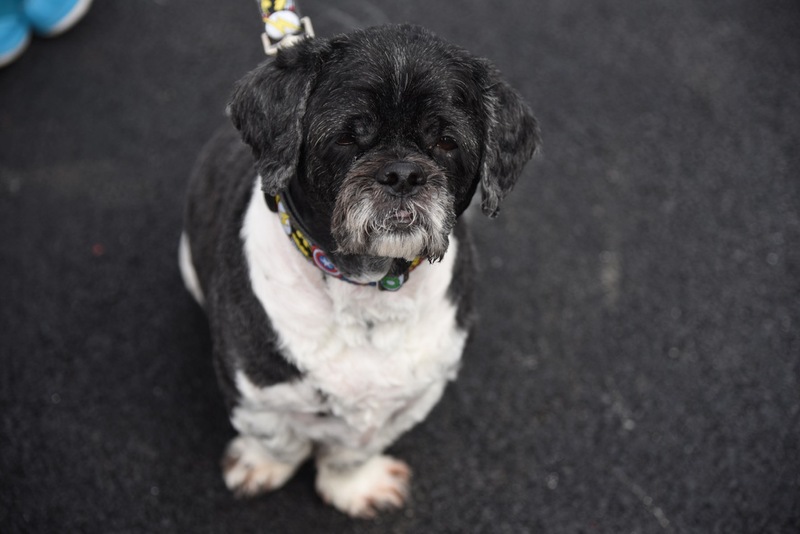 Best of all – these people are really switched on – this pier is pooch friendly as The Hound can testify. What more could you ask? We’ll be returning very soon. 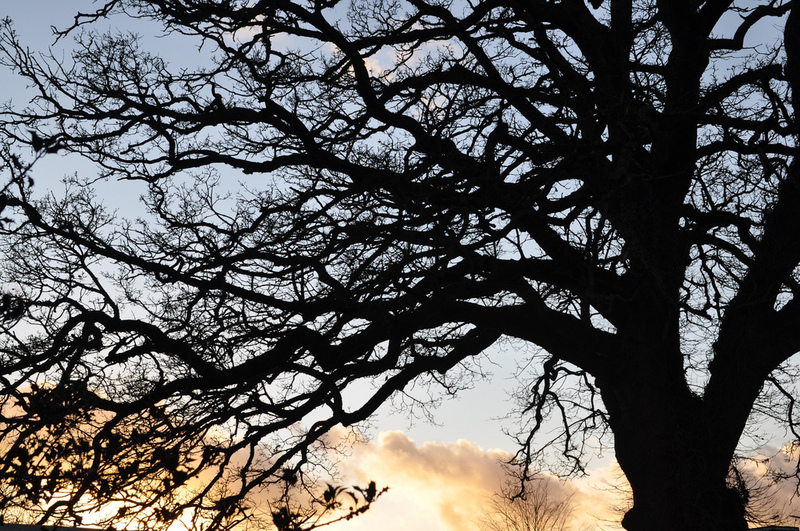 Contributor & photographer: Sue Lowry. Follow me on Twitter @A3Traveller and on Instagram @SueLowry. ← What’s in a plaque?